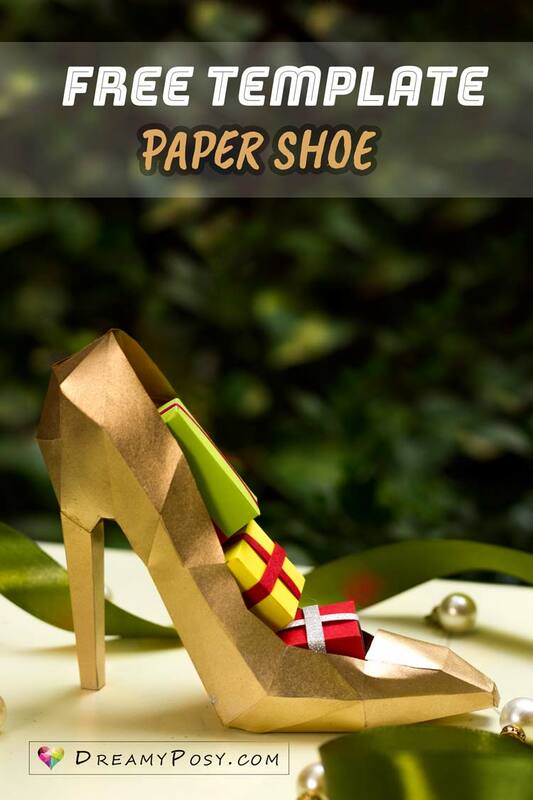 Give this 3D paper shoe to your girl and ask her to be your Cinderella! Or make one for yourself to use as a jewelry box. And you know what? Just 1 sheet of paper is required. 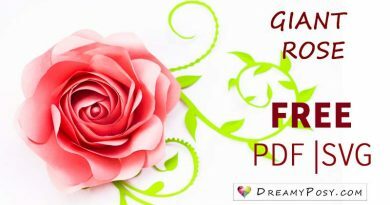 And, as usual, our free template and step by step tutorial will guide you through the process. Print out the template on your favorite sturdy paper. It could be watercolor paper, color cardstock, or glitter cardstock or even printer paper. I used the glue stick for watercolor paper and printer paper and use UHU glue for glitter cardstock. Note the tabs and numbers inside the shoe. And glue the same number tabs to one another using quick dry glue for the fastest result. The second page of the template is the shoe lining. Choose a paper color for the liner that complements the shoe surface for a gorgeous look. As an alternative, use spray paint or acrylic paint/nail polish to color the entire shoe or just the liner. 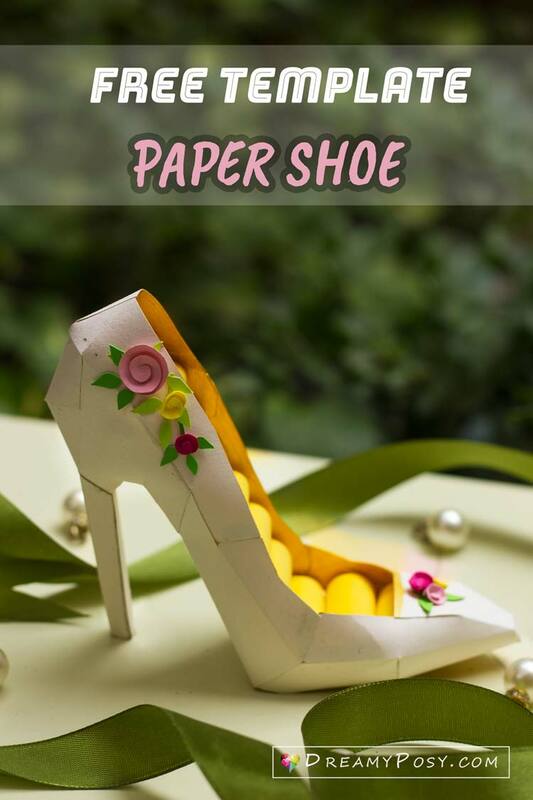 You could decorate the shoe with tiny paper flowers. I use x actor knife to cut some leaves and a tiny rose, like what I have shared in the mini rose tutorial. The above paper high heel shoe was just made from printer paper and then covered by a gold spray paint. I found that the tabs were hidden successfully that you don’t need to make liner inside. And the above shoe was made from watercolor paper 180gsm. For the printer paper and watercolor paper shoe, I used white glue. Because white glue melts in water, you could easily get the white glue in the syringe. Just put the needle of the syringe in a cup of water whenever it gets dried. If you love this, pin the following image for later use. A ball pen that out of ink for paper scoring. 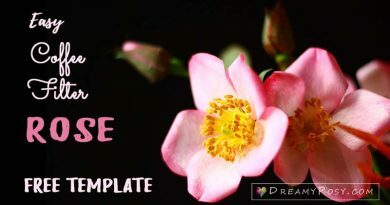 As you might know, we provide completely free templates and tutorials on this blog, and work hard to earn our living from the advertisements you see on each page. I was just wondering if you make paper shoes for parties if someone paid you. Hi, thank you for this craft project. I love all things high heels and use them in my artwork most of the time. It is trying but I am still working on the heels. I have A.D.D. sometimes and rush my projects so this is a good idea to work on. Thank you again. I’m glad that you like it. Thanks Tim. I LOVE your site and I’m posting it to Pinterest!! I want everyone to see how fabulous your site is!!! 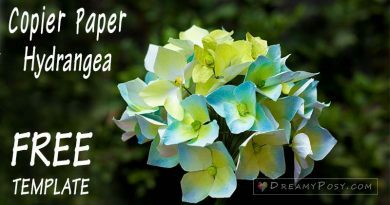 This is so kind and generous of you to post free templates and instructions so that we, too, can make your beautiful flowers and gifts! The template is at the end of the material list, dear. Hello! I’m about to go and print this but how will the shoe be if I print it out on two A4 papers? What size of paper did you use? I printed it on 2 sheets of A4 cardstock or printer paper, Maria. thank u so much for sharing these diy projects. 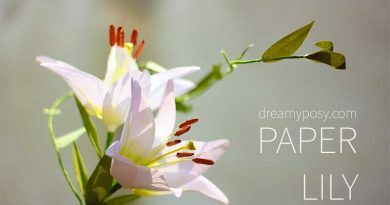 may ur creativity goes high! Dear Dem, you can find the template link in #7 of the material list. Please, you should not be worried about such little things. Please be noticed that you will be very patient and watch my instruction carefully, as I tried to instruct very detailed. It’s not difficult, but it needs calm and patience. All the best. Hi Dorota, please kindly find the template link (little pink link) at the end of the material list of each post. You must have clicked on the ads link, which I have stated clearly that a sponsored links. Sorry for any inconvenience. Oh how come, Christine. I’ve just tried to print both page and there’s no error with the template. I could not send you the seperate page 2, because I am affraid that the liner size might be different with the main shoe size, which happened to me in making these 3 different shoes with 3 different sizes when I exported the file again and again. I hope that you could find out the error.